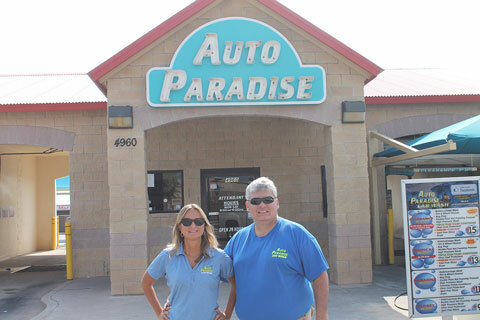 Auto Paradise Car Wash is popping up all over the Midland, TX and San Angelo, TX communities. With four locations, we are conveniently located throughout Texas, making it easy for drivers to clean their car, truck, or SUV. Whether you are particular about the way your car gets cleaned and would like to do it yourself in our self-serve car wash, or you want our machine to do the work for you in our automatic car wash, it’s your choice. No matter what you choose, our cleaning equipment and solutions are safe, easy to use, reliable, and most importantly affordable. We have gift cards available to anyone looking to surprise their mother or co-worker with the perfect holiday present, as well as a Wash Club program where you can get incredible benefits. We’re always making customers satisfied with our service and budget-friendly rates.